As the weather just lately had been awfully hot. So off to Bristol with my Laser I went. An hour or two of solo practice was my intent. Aiming for a good old bash and then back home in time for tea. Where, so I have heard, live folk who are terribly posh. And on the beach nearby a Sunfish - not too alluring. But I didn't get too close - there might be rocks - and I wasn't feeling brave. Where the wind was more in the west than the south. I worked on some of my faults in sailing the boat. I think that in previous posts about them I've wrote. Because my technique at this move is messed up and screwy. At which my incompetence is totally astounding. Feeling a bit hungry and ready for a snack. But then what do you think I did see? A very joyful sight I'm sure you'd agree. For a bit of practice too without any doubt. These Laser sailors leaving the shore. On every Tuesday evening they go for a sail. I expect some guy organizes it by email. So I joined in with their practice races. Most of the sailors were familiar faces. Up and down the wind we raced. Round and round the buoys we chased. I felt that the wind was almost done. Before the wind had totally died. Where waiting for me was my beautiful spouse. Burgers and a beer was Tillerwoman's dinner plan. I really am a very lucky man. 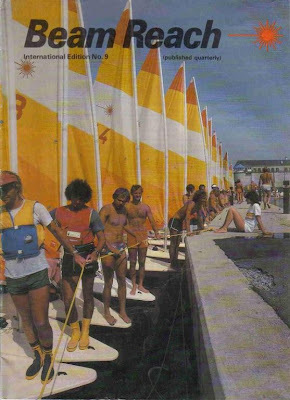 So much has changed in the game of Lasering since this photo was taken at the 1980 Worlds. The picture is just crying out for a caption. Go for it. C is The Other Guy. If I can't rely on the local Laser pecking order, then what is sacred? There is no foundation to my life. What does this all mean? Where does it leave me? This guy has been sending me emails for a couple of weeks now. The messages are about how they are having informal Laser racing on Saturday afternoons at the lake club where I raced a few weeks ago. Short course fleet racing. As many races as they can fit in between 3 and 5. Keep it friendly. Not too serious. No keeping score. All about having fun and building the Laser fleet. 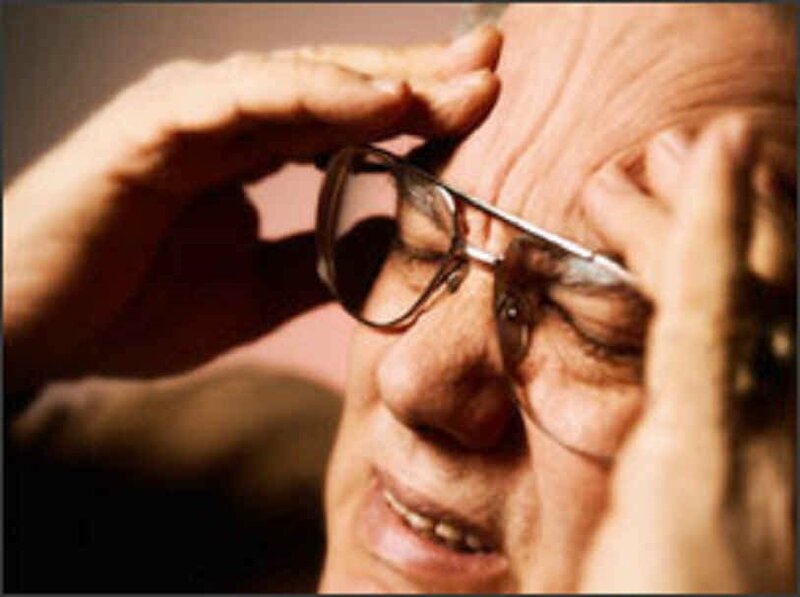 Every Monday I receive an email telling me about how much fun they had the previous weekend. And every Friday in comes another email with a note about how the weather forecast for Saturday is perfect for sailing and encouraging me to join them. Hmmm #1. If only someone had bothered to market our district regatta the other weekend in a similar way then maybe we would have had more than seven boats show up. Hmmm #2. This format reminds me of something we used to do at Hunterdon Sailing Club in New Jersey. In the middle of the summer there was a "proper" Wednesday evening Sunfish series with a race committee, and scores, and trophies (and even the occasional protest meeting). But the season stopped at the end of August because once the evenings became shorter in September it was impractical for those poor souls who have to work for a living to arrive at the lake early enough to fit in much racing before sunset. So some bright spark started the GUST series. GUST stood for Geriatric or Under-employed Starboard Tackers. A bunch of us retired layabouts would race through September and into October on Wednesday afternoons from about 4 until sunset. Rabbit starts. No race committee (or even a safety boat). No keeping score. Just a friendly group of old geezers having fun. Where was I? Where am I? Oh yes. Saturday afternoon. So anyway last Saturday I drove over to my son's house in the morning to play with my grandchildren. "My grandchildren." I like saying that. I've only been a multiple grandfather for two weeks but it's a good feeling. 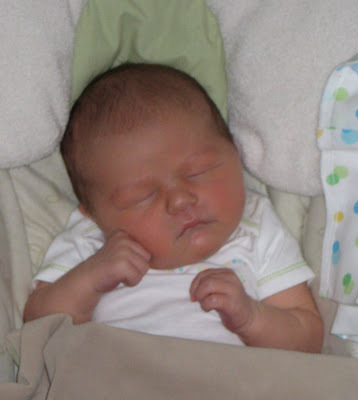 At the grand old age of almost two weeks Aidan really only has do three things: drink milk, sleep, and poop. The kid is incredibly talented at all three, and even did one of them while sitting on my knee. 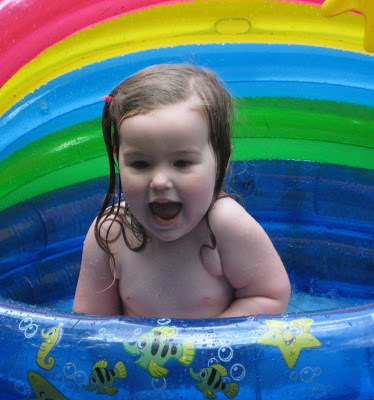 Emily was excited to see me and we spent the morning playing doctors (involving giving extensive "check-ups" to every doll and furry animal toy in her vast menagerie using her new toy medical chest) and having fun with a hose pipe and her paddling pool in the back yard. Did I mention that this kid loves the water? After drying off and having lunch, I headed down to the lake which is not far from my son's house. Of course, having won the regatta there three weeks ago, I had to put up with some good-natured ribbing about whether I had to come to show them all up. As it turned out, this was far from the case. The courses were short. One lap windward-leeward lasting not much more than five minutes. We must have done about ten races. Success depended on the start and the mark roundings. It was more like practice drills than real racing but it was a hell of a lot of fun. I won one race and was second a few times but was also nearer the back of the fleet a few times too. It struck me that one of the beauties of sailboat racing is that it's really so many different games rolled into one. Even sailing the same boat all the time, the Laser, the skills demanded are so different from week to week. At the lake regatta, in light patchy winds, the keys to success were the ability to see the big picture as to what the wind was doing on the lake and having the skills to keep the boat moving in the very light stuff. Last week at Barrington, at least once the breeze was up, you needed to be able to spot the shifts, hike hard upwind, and play the waves downwind. But on Saturday, on such short courses, it was all about the close boat-to-boat stuff, battling it out at the start line, being aggressive, and having quick reactions and good boat-handling at the mark roundings. Man these guys were good at that stuff. Just before I left the lake, the guy who had been sending the emails thanked me for coming and pointed out that I ought to spend Saturday morning with my grandchildren and then sail with the fleet at the lake in the afternoon more often. Then home to the beautiful Tillerwoman who had made fish and chips and mushy peas for dinner. I am a very lucky man. It is the third race of the second day of the district Laser championships. The sea breeze has kicked in with a vengeance and the race committee has signaled a windward-leeward two-lap course. The Strategy. I figure I want the right side of the course for two reasons. First of all, when the sea breeze came in yesterday a couple of sailors made huge gains on the last beat of the last race by hitting the right corner. Secondly I think that if I start at the right end of the line and tack to port immediately I will have a clear lane. The Start. I line up for a start at the right end of the line (actually a flag buoy because, unusually, the race committee has the line to starboard of the committee boat.) One of those A-list guys (also known as Laser Sailing Gods or LSGs) has the same idea. Of course he times it better than me and I cross the line a little after him but right next to the buoy. I immediately tack out to the right side of the course. At least some of them are going to be getting gassed and squeezed out by the others and even the ones in the front row are probably going to be doing extra tacks as they criss-cross up the course in a crowd. I figure that this will cost more than the few feet I gave up at the start. I ignore my doubts about the strategy and focus on going fast fast fast out to Cornersville Population 1. The Shift. I don't have a compass but am concentrating on where I am heading on the distant shoreline. Praying, praying, praying for a nice header. Then it comes. About 10 degrees or so, and with a separation from the rest of the fleet of several hundred yards by now, that is a significant gain. I keep going for a few seconds to make sure the shift is real, and then tack. I'm a few boatlengths below the starboard tack layline and am looking good compared to the other boats. I continue sailing fast in clear air towards the mark. The Cross. After a few minutes I cross the LSG by several boatlengths. He shouts something like, "Well done." 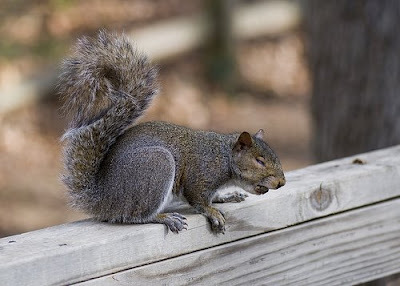 I shout back, "Even a blind squirrel finds a nut once in a while." The Rounding. I round the windward mark in first place. Woo hoo. Mid-fleet mediocrity, C-list sailor Tillerman rounds first in the District Champs. I got lucky with the shift. I should have made a better start. Banging the corner is rarely a sound strategy. The fleet leaders were probably staying close to each other because of the points situation in the regatta. They let me take a flier because I was no threat to them. And one of you is going to ask me what happened next in the race and why I didn't win it. I don't care. I found my nut. The first day of the Laser district championship on Saturday was an awesome day of sailing. We did six races in all with a variety of courses. We had light winds and strong winds. I had good races and bad. I beat every sailor in the fleet at least once, except for the guy who eventually won the regatta. At the end of the day, after almost seven hours on the water including about five hours of racing, I was tired. I was dog tired. I was aching. It seemed like every muscle in my body ached. It had been a brutally hot day with temperatures in the 90's, and humid too. I was dripping with sweat as I derigged and packed up the boat. One of the youngest guys in the fleet said he was tired. "Ha. Enjoy it while you can. It doesn't get any easier as you get older," the grumpy old codger (me) replied. The oldest guy in the fleet said he was tired. "So you should be at your age," I rudely told him. Seriously, if a guy ten years older than me had told me that he wasn't exhausted after a day like that I think I would have given up Laser sailing. I dragged myself home. I sat in a cool dark room and groaned a lot. My back ached. My legs ached. My shoulders ached. What to do? Is it a margarita day? No. I don't have the energy to find the blender. How about a nice cool beer? No. Would have to go down to the basement to get it. Way too much effort. How about a glass of wine over dinner with the beautiful Tillerwoman? No, that would make me sleepy and I need to stay awake at least a couple more hours. Geeze I'm hurting. Why do I do this crazy sport? The only solution was not beer, not wine, not even a margarita... 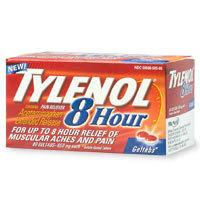 I swallowed 1300 mg of acetaminophen, drank gallons of water, soaked in the hot tub, and went early to bed. Tomorrow is another day (of Laser sailing). I sailed our Laser District Championship this weekend. The winds each day started light and built up to 15-20 knots by the afternoon, the race committee work was excellent, and the competition was fierce but friendly. What could be better? The only problem was that only 7 boats showed up for the event. Seven! Our district has the largest membership in North America with around 200 members. We would normally expect at least 20 boats at an event like this, ideally more. I would come if it were a one-day event. Two-day events take up the whole weekend and I have other commitments. I heard Tillerman would be there and I didn't want him to humiliate me in his blog. The same three guys win all the regattas round here, so what's the point? I'm not good enough to sail in a district championship. There are too many regattas. I can't do them all. I was sailing on my Daddy's yacht this weekend. I had a bad experience last time I sailed there. I'm too good to sail in a district championship. I don't want to be the only woman there. I was sailing my Force 5 this weekend. It's too far and gas is too expensive. I didn't like the weather forecast. The entry fees are too high. The fleet is all young kids. The fleet is all old guys. I had to mow the lawn. I didn't hear about it. Just to be clear, I'd like to hear from racing sailors in any class anywhere, not just Laser sailors in New England. Seriously, what are the reasons you wouldn't sail in the major local event for your class? One more entry for this month's group writing project Heyitwasgreat from Dr J, a fellow Laser Master sailor, who says he was inspired to start his blog Favored End by reading Proper Course. Oh geeze, I always feel a little guilty when my muddled ramblings here inspire someone to do something they may not otherwise have done. Oh well. Dr J's article is It was a dark and windy night and is about a spectacular light show sailing in the Gulf Stream. Christy wrote a story about a magical beer can race Hooray for Team LaVita. Sunday was great for Manfred Schreiber who sailed his Bull 7000 in the annual club regatta and came first on corrected time in the 36 boat fleet. Captain JP told us a story about sailing the Atlantic Rally for Cruisers and of a moment on the first night when It was magic. Steve Manson shared some of his philosophy about why we race and the meaning of competition in Sailing Flow. David Anderson told us all about his Megabyte adventures at the High Sierra Regatta and admitted that Heyitwasgreat Noreallyitwas even though he was beaten by a Laser. Derek Jackson wrote about a day when he was racing his Sunfish "in the zone" and concluded that the reason was that It's Got To Be The McLube. By the way congratulations to Derek who last week finished in second place at the Sunfish North American Championship sailed on Lake Erie, and was also elected President of the US Sunfish Class Association. Quite a week! Thanks to everyone who contributed to the project. Now what subject shall we choose for August? Hmmm. Update: Thanks to Carol Anne for pointing out that I ought also to include the stories that inspired the subject of this project. I had nearly the same day recently, except that it had nothing to do with racing or regattas. No nemesis, no victories, no shrewd reading of the shifts. The only fleet we left behind was the local flight of whitecaps. We'd been motoring through gobs of leftover chop on a windless Monterey Bay. Two hours from Santa Cruz, the famous afternoon winds came up. And up, and up, and up. The sails came out, and we began to move. And move, and move, and move. Spray blasted us, but it was the kind you don't care about. Perfect breeze, perfect sky, perfect destination, perfect seafood dinner awaiting us ashore. Back at the office the next week, I told people, "heyitwasgreat", when they asked how the trip went. For the non-sailors, there was no way to describe the magic of that simple reach into a new harbor or the satisfaction of slaying the sea monsters and delivering Mrs. Skeptic safely there. It had been one of Those Days. The comment was triggered by my post about one of my rare regatta wins, Just One of Those Days. And Carol Anne suggested Heyitwasgreat would be a good subject for this month's project and also gave us a great example herself with her three posts about a peak experience with Team Zorro, parts One, Two and Three. One of my favorite meals on my occasional jaunt from New Jersey to sail somewhere on the Chesapeake was soft shell crabs. They are blue crabs caught just after molting (before the new shell has had time to harden) and are cooked after cutting out the gills, face and guts, and eaten whole. They are usually battered and fried, and can be eaten as a main course or in a sandwich. Now that we live in Rhode Island it's unlikely I will be traveling very often to regattas in Maryland, home of the best soft-shell crabs in the country. According to this article at Science Daily, "A detailed analysis of data from nearly 50 years of weekly fish-trawl surveys in Narragansett Bay and adjacent Rhode Island Sound has revealed a long-term shift in species composition, which scientists attribute primarily to the effects of global warming." The study's overall prediction is that, "Narragansett Bay is soon going to resemble estuaries to the south of us -- Delaware Bay, Chesapeake Bay -- so we'll experience what they are experiencing now. It will continue to get warmer and attract more southern species, such as blue crabs. Species that couldn't complete their life cycle here before may be able to do that now." Wooooo hoooo. So one day Rhode Island will be like Maryland. 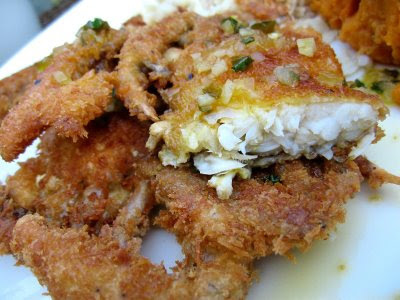 And soft shell crabs will be the Rhode Island crustacean of choice. Who said global warming was a bad thing? You may be familiar with comedienne Kathy Griffin's reality TV show My Life on the D-List in which she makes fun of Hollywood A-List celebrities such as Tom Cruise and Julia Roberts, while doing everything she can to make more publicity for herself. Apparently there actually is a ranking of Hollywood actors and directors, the Ulmer Scale, that measures the "bankability" of about 1800 film industry luminaries. Part of the joke of the Kathy Griffin show is that there really is no D-list; the ranked movie actors are all A's, B's or C's. It struck me a few days ago that I tend to rank the sailors I race against in a similar way. On the New England Laser circuit there is a small group of sailors who win all the regattas. Of course this is the A-list. Then at every regatta there is a bunch of sailors who always make up the tail-end of the fleet, the ones that are just starting out in the Laser, or who don't know how to rig it properly, or are way too light to sail the boat flat in a breeze. These are the D-listers. In between we have the B's and the C's. The B's are usually in the top half of the fleet and may occasionally be among the leaders in a race. But they rarely make the podium. The C-list sailors are respectable experienced sailors but they don't usually break the top half of the fleet in the final rankings. If you've been following along with this blog you will have guessed that I consider myself a member of the C-list, whereas my nemesis a.k.a "that guy" is definitely on the B-list. Of course it all depends on context. When I used to race my Sunfish on the SANJL circuit in New Jersey I was on the B-list. And at the lake regatta a couple of weeks ago, I was on the A-list, along with about five other sailors with a definite chance to win the day. Whereas last Saturday at Newport I was definitely sailing like a D-lister. I was wondering whether this is a healthy way to think about racing performance. Instead of focusing on just beating "that guy" maybe I should be thinking about what I need to do to raise my game to the level where I can consider myself part of the B-list on the district circuit. What do you think? Am I nuts, or do you too consciously or sub-consciously rank other sailors and yourself in this way? Is it better to rank your performance against a list of other sailors rather than just one individual? Hmmm. Perhaps I should change the name of this blog to My Life on the C-List? It seems that there has been less interest than usual in this month's group writing project Heyitwasgreat. Maybe it's harder to write about good sailing experiences than to relate stories of mistakes and screw-ups? Maybe my usual respondents are all out sailing? Maybe it's the price of gas? I dunno. Anyway we have one more entry from David Anderson who asks, "How great can it be when a Laser beats you in the end?" I don't quite understand that question. I am always getting beaten by a Laser, or more usually a couple of dozen Lasers. Anyway he tells us all about his Megabyte adventures at the High Sierra Regatta and admits that Heyitwasgreat Noreallyitwas. The second day of the Newport Regatta on Sunday was a bit windier than Saturday. I'm no good at estimating wind speeds in knots but according to John Skrzypiec the wind started out at "18kts with gusts to 22kts", and increased to 25 kts by the time of the last race. Perfect for fat boys, or even just slightly overweight Laser sailors like me. I was determined to approach the day with a new attitude. Be on the front row in every start. Hike like hell all the way upwind. Pump like the devil all the way downwind. Give no quarter at the mark roundings. Fight for every place right up to the finish line. Starts. What's wrong with my starts this weekend? I never seem to jump off the line in the front row. I'm sure the problem is all in my head. In the last few seconds before the gun I always become convinced that some boat close to me is way over the line and so I don't go up with him. Then the gun goes and he is not called OCS and I am gassed. On Sunday I try to break out of this habit and finally succeed in the third race. I pull off a front row start near the favored end and I'm looking down the line at other Laser bows all lined up with mine and a decent gap to leeward. Must hold this mental image. This is how it's supposed to look. Hold the image. Visualize this outcome in future starts. Maybe that will work. But wait, it gets better. I'm holding my lane nicely for 30 seconds, 60 seconds, 90 seconds... And then the boat to leeward starts to fall into the disturbed air of the boat to leeward of him, who in turn is getting gassed by the boat to leeward of him. Oh joy. This is looking good. First Beat. I have as much power in the rig as I can handle and am hiking my little socks off. I'm laying it all on the line in every race. My quads are screaming but I don't care. I'm hanging in there with sailors who have been way ahead of me all weekend. I can still do it. Windward mark roundings. I'm getting better at judging my entry to the starboard tack layline. Avoiding being in the starboard tack parade too early. Not overstanding. Final beat. This is where I stick it to Mr. Fast. I'm tired of being passed by him on every run. I'm gonna grind him down in the beat to the finish. In the first race I catch Mr. Fast shortly before the finish and tack to starboard, slightly ahead and to leeward of him, but not a really tight lee-bow situation. Hmmm. We're approaching the finish. The starboard end of the finish line is favored. Will he tack for it? I look over my shoulder. He doesn't tack as we hit the layline. Hmmm. Can I cross him? Not sure. It will be close. Time slows down. I look towards the pin end of the finish line. I'm not laying the pin. Neither is he. I look over my shoulder again. Dare I tack? I see his plan. He's going to keep sailing towards the pin and force me past the pin-end layline, then tack and cross the line ahead of me. Damn you Mr. Fast. Time slows down even more. He shouts something like, "You have to work for it!" Decision time is rapidly approaching. I'm almost at the pin-end layline. I decide to go for it. Tack on to port. Mr. Fast is behind my sail. Any second now either there will be an almighty crunch or.... Then he shouts, "You got it. Well done!" and his bow appears a couple of inches behind my transom. Tillerman 1 - Mr. Fast 0. In the second race on Sunday I beat Mr. Fast by a few places. Tillerman 2 - Mr. Fast 0. In the third race we are close approaching the finish line again. On port tack I cross behind Mr. Fast and tack on to starboard, to windward and a boatlength or two behind him. Effectively the reverse situation of race one. I grind it out and am soon seeing him through my sail window. I tack for the starboard end of the line and not only beat Mr. Fast but achieve my best result of the weekend. Almost mid-fleet mediocrity. Nevertheless the score for Sunday is Tillerman 3 - Mr. Fast 0. After three races I am exhausted. There's nothing left in the tank. I've sailed my best, holding nothing back, and am feeling much better about my sailing than I was yesterday. So I call it a day and skip the last race. Yes, racing is not just about winning. I know there are lots of rewards from racing that are nothing to do with the scores. I respect sailors like Steve Manson who is able to report that the greatest moment in his sailing career was when the "other guy" passed him right at the finish line. And I would agree that it's shortsighted to focus on beating one other sailor. But, at the end of the day, it is a competition and I, for one, enjoy racing partly because I am competitive by nature and I still get a buzz when it's me executing that perfect tack just before the finish to cross and beat the other guy. One other bonus of the weekend. After the racing was over I was chatting with that guy. I complimented him on how speedy he was downwind and asked him how he was doing it. He passed on a tip on downwind technique that he had learned from one of the Laser sailing gods, something that I had not heard before. Hmmm. Another way that I may be able to improve. The delusion continues. On Saturday my performance in the Newport Regatta was awful. I've never sailed so badly. My starts were pathetic, my boatspeed was off, my mark-roundings were amateur, and I struggled at the back of the fleet. The only people I could beat easily were the kid with the loose traveler and the old guy without a clew tie-down. Terrible. A bad day on the water is better than a good day at the office. True. But I'm retired now. So I don't have to go to the office any more. What would I have been doing if I hadn't been sailing on Saturday? Probably going shopping with Tillerwoman at the local farmers' market. I've nothing against farmers' markets (or Tillerwoman for that matter) but a bad day on the water is better than a good day shopping with the wife. What doesn't kill me makes me stronger. I must be learning something thrashing around at the back of the fleet like this, surely? Even if it's only that I ought to exercise more and lose ten pounds. At least I'm getting some exercise today. I haven't done any running for a few weeks. These days, sailing and gardening are about the only exercise I get. And even a bad day's sailing is more fun than running or working out at the gym. If it weren't for sailing I would just be some fat old guy sitting on a couch tapping away on a keyboard. Come to think of it, I am.......... you can fill in the blanks. At my age Babe Ruth and Lou Gehrig were both dead. 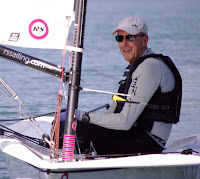 I'm sixty years old, I still have my health and enough fitness to chase some of the best Laser sailors in New England around a race course all day. I should be thankful. It's sunny, the sky is blue, the water is warm and I'm out sailing. What is there to complain about? I'm sailing in the capital of yachting, Newport. There's a lighthouse over there on Rose Island to the west, historic Newport harbor and waterfront in the east, Fort Adams home of the Museum of Yachting in the south, and the spectacular Clairborne Pell Bridge in the north. There are all kinds of classic yachts and former America's Cup 12-meters sailing around. Where else would a sailor rather be? The bad days make you appreciate the good days even more. If you won every race you sailed it would become awfully boring after a while... I imagine. (I can only imagine such an improbable scenario.) The one day in three years that I won a regatta was only rewarding because it was the only day in three years that I won a regatta. Failure is a great motivator. "That guy" may be beating me today. But I'm gonna get him soon. Tomorrow is another day. Next time I'll get it right. OK. You get the picture. How about you? How do you console yourself after a bad day on the water? What a month! The first weekend of July I won a regatta and celebrated my 60th birthday. Then this weekend the best present of all... today I held in my arms my first grandson, born yesterday at 8:52pm, Aidan Christopher, 8lb 5ozs, mother and baby doing just fine, thank you for asking. Big sister Emily was thrilled with the arrival of her little brother. As soon as she saw his feet she started playing This Little Piggy Went to Market with him. And then she held him in her arms and sang Frère Jacques to him as he snoozed. Could we be looking at the Harvard University Sailing Team 2027 season Intercollegiate Championship winning A-team and B-team skippers? Who knows? But here's an omen. The first visitor from outside the family to show up at the hospital this morning was the sister of famous sailing blogger Dan Kim of Adrift at Sea. Two more entries in our group writing project, Heyitwasgreat. Captain JP tells us a story about sailing the Atlantic Rally for Cruisers and of a moment on the first night when "the lights started to appear - below us, above us, and all around us" It was magic. And in another entry from the SANJL Blog, Steve Manson shares some of his philosophy about why we race and the meaning of competition in Sailing Flow. You have all this week to contribute so... readers start your blogging engines. Full details of how to participate at Heyitwasgreat. Save the fish. Eat more clams. Eat less of the big fish such as salmon, tuna, swordfish and sharks, which are the most vulnerable populations. Eat lower on the marine food chain, including smaller species that are less endangered such as clams, oysters, mollusks, anchovies, and sardines. Choose fish caught by line, pot, or net (or other artisanal methods) and avoid fish caught in massive trawl nets which pull everything out of the ocean whether it is the intended catch or not. That's if you don't want your grandchildren to be telling their grandchildren in fifty years time, "Yes dear, that's a picture of a fish. Fish were animals that used to live in the sea." I went out for a practice sail in my Laser yesterday, launching from Weaver Cove in Portsmouth. There was 15-20 knots of wind out of the south stirring up a typical Narragansett Bay chop. On port tack it seemed that I was heading more or less directly into the waves, such as they were, so I used the "opportunity" to try and figure out a way to deal with the choppy conditions. All in all, I couldn't say which method worked best though 7 felt good and 10 was the easiest. After about an hour of upwind work I headed back down and practiced my transitions between sailing by the lee and broad reaching. All the top coaches say transitions are key to downwind speed. I wish I knew what a transition is. It might help. This stuff sure was easier when I was in my prime. Today, July 10, is Clerihew Day, the birth date in 1875 of Edmund Clerihew Bentley, the British writer who invented a four-line rhyming verse, usually biographical in nature and resembling a limerick. I'm not exactly being overwhelmed with entries for the Heyitsgreat writing project. But we had some fun with clerihews last year, so lets see if there's more interest in that. So the challenge is to write a clerihew about yourself, or perhaps another sailing blogger. Christy of Central Air writes about a magical beer can race in Hooray for Team LaVita. It's very impressive to read about what she managed to do with "minimal flailing". Derek Jackson tells us on the SANJL Blog about a day when he was racing his Sunfish "in the zone" at a Mid-Atlantic Regional regatta and concludes that the reason was that It's Got To Be The McLube. SANJL stands for Sailing Association of North Jersey Lakes and if you're a Sunfish sailor within driving distance of Northern New Jersey you really should check them out. Manfred Schreiber from Germany sailed his Bull 7000 in the annual club regatta on Sunday and with seven-months pregnant K. steering they came first on corrected time in the 36 boat fleet. He tells us how they did it in Sunday was great. Plenty of time for you to write your story on this theme. Full details at Heyitwasgreat. On Monday evening and yesterday we saw much activity on the bay in front of our house. Helicopters and boats from the Coast Guard and other agencies were searching the waters of Mount Hope Bay. Apparently a 65-year-old man was sailing his 32-foot boat with his wife, and he was hit by the boom and fell into the water. He was not wearing a lifejacket. As of now, he has not been found and the search has been scaled back. We're not talking about an accident on the open ocean. This is a relatively sheltered bay, a dozen miles or so from the coast of Rhode Island Sound. Just a couple of weeks ago there was another tragedy on the bay. A man was fishing from the rocks on the other side of the bay and was struck by lightning. It's a dangerous world out there kiddies. Play safe on the water. Check the weather forecast. Wear your lifejacket. 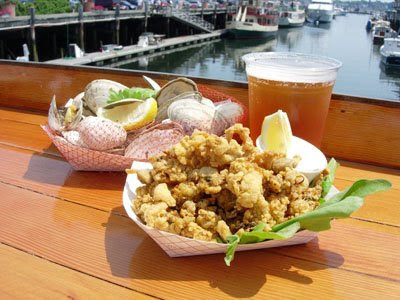 One of the treasures of our bayside community in Tiverton, Rhode Island is Evelyn's Drive-In, the local clam shack. Tillerwoman and I headed down there for lunch today... a clam sandwich and a local brew sitting by the water. What could be better on a hot, humid summer day? When we were at Evelyn's last summer there was a TV crew there filming a spot about Evelyn's for the Food Network series, Diners, Drive-ins and Dives. Judging by the YouTube video above, their vast global TV audience didn't get to see Tillerwoman and me chomping down on our fried clams, but that's OK. If you're down Tiverton way, you should check out Evelyn's. And if you don't believe me, here are a few reviews. Thanks to the mysterious commenter known as o docker for the title of this month's Group Writing Project... "Heyitwasgreat". The challenge is to write about one of those special memorable days under sail when everything went just right. One of those days that when other people asked you about it afterwards you could only reply, "Heyitwasgreat." I could have used the title "One of Those Days" but you might interpret that either way. This month I want to hear about good days of sailing, not bad days. We've already had enough stories about Worst Sailing Mistakes and Learning Experiences, not to mention Race-Committee Screw-Ups. Let's keep it positive this month. If you're a racing sailor you might want to write about one of those days when you were "in the zone". You aced every start, you played every shift right, you extended your lead, you crushed the opposition. Or if racing is not your thing it might be an afternoon such as the one o docker wrote about in his or her comment... "the winds came up. And up, and up, and up. The sails came out, and we began to move. And move, and move, and move. Spray blasted us, but it was the kind you don't care about. Perfect breeze, perfect sky, perfect destination, perfect seafood dinner awaiting us ashore." Carol Anne also gave us a great example with her three posts about a peak experience with Team Zorro, parts One, Two and Three. "Peak Experience" would also have been an excellent title for the project. Or if you are a Serious Ocean-Going Racer (SOGR) like Edward at the EVK4 SuperBlog you might write about a landfall after a long voyage, or... or.... or.... I dunno. I'm not an SOGR so I wouldn't know what turns SOGRs on and makes them say, "Heyitwasgreat". But there must be something. 1. Write a post on your blog on the subject of "Heyitwasgreat". 2. Once you've posted your story, let me know about it by sending an email to tillermeister@gmail.com including a link to your post. If you don't have a blog just email me the story and I will post it here. Please let me know about your post or send me your story before Saturday 19 July. Choose a unique title for your story please. We don't want a dozen posts all entitled "Heyitwasgreat". 3. I will post here two links to your story. Every day or so I will write a post listing any new entries in the project. Then at the end of the project I will provide a summary post with links to all of the articles about your special days, your peak experiences. Please participate in this project. Do it for fun. Do it to so that new readers will find your blog. Do it to share the fun of sailing. Do it so that we can marvel about how many different types of sailor there are and how we can say about so many different sailing experiences, "Heyitwasgreat." Someone left a comment here a few days ago to the effect that how ever many days you have bad experiences when sailing, sooner or later you will have "One of Those Days". He or she was right. On Saturday I had One of Those Days. My son and I hitched up our Lasers and headed out early for the First Annual Sunfish/Laser Regatta at the lake club near his home. The weather was cloudy and damp, the winds were light and patchy, but it was a cool event. The host club was very friendly and there was a mellow laid-back atmosphere to the whole day. "I'll follow you. You seem to know where you're going." "Man you're a genius. Wish I could do roll-gybes like that." "You let me down. That was the wrong side of the beat. You're a bad influence. I'm going to keep away from you." Then when my son was leading a race I shouted at the top of my voice, "Gooooooooo Fat Boy!" (My son was probably the heaviest sailor there.) The other sailors laughed. Not sure if he really appreciated it though. Then when he was leading in another race, "Man, just look at how fast that kid is. I taught him everything he knows." There were seven races. A mix of Gold Cup courses and courses with various numbers of windward-leeward laps... with a downwind finish in every race. I hate downwind finishes. I can never seem to catch anyone on a run; but if I am ahead I am always worrying that a puff from behind will push the competition back down to me. As I crossed the finish line in one race I joked to the PRO, "These downwind finishes are excruciating." "Even when you're winning?" he asked. There was a good mix of sailors in the fifteen boat fleet. All ages, including a bunch of kids from the local high school team, a couple of females, and at least one sailor older than me. The toughest competition was from a high school kid who was super-fast in the light air and must have weighed about 90lbs less than me, a college kid, a guy about my age who has been sailing some of the other local regattas with me, the coach of the high school team, and my son who was lying in second place in the rankings at lunch time. Nobody was consistently at the front. Even the race winners had some bad races. So it was tough to keep track of what everyone's score was. There was one race where the wind went hard left just before the start and I was at the wrong end of the line, not even on the line, with two boats to windward of me and a dozen boats ahead nearer the pin all giving me bad air. But somehow I eventually managed to find a lane and start weaving my way through the fleet. And on the run in the first race I went to the wrong side of the course and watched half a dozen boats pass me on the other side. But I did have the sense to gybe over and get on the left side of the course to avoid being on the outside of one of those painful pinwheel roundings. Upwind I tried to sail towards the pressure. Stay in the puffs. Connect the dots. It didn't always work out perfectly but usually I rounded in the leading group. On the courses that had reaches I usually managed to separate from the boats near me by heading up for the puffs coming off the nearby shore and then riding them down. My runs weren't great but by the end of the day I had realised that I had to look behind, work out which side was going to get a puff, and then aggressively head over there. It was very reminiscent of all those days I spent racing in my Sunfish on New Jersey lakes. You just had to keep your head out of the boat all the time and watch the water like a hawk for every hint of where the wind was and where it would be next. So it was pretty cool to score a win on the last day of the sixth decade of my life. What better birthday present could there be? Definitely One of Those Days. It's shaping up to be an awesome weekend. Yesterday was America's birthday. Well not really but close enough. In celebration I bought myself a new barbecue grill this week. Charcoal of course. I'm a charcoal snob. None of this modern gas grill nonsense for me. Tillerwoman and I have already been enjoying the grill. What could be more traditional on America's birthday weekend, even if it is the wrong date? Son #2 and his girlfriend came to see us on Friday too. Life is good. Then Sunday is the birthday of George W. Bush, the last birthday he will enjoy as President of the United States. Love him or hate him, surely you can find something to celebrate in that fact? Sunday is also someone else's birthday. 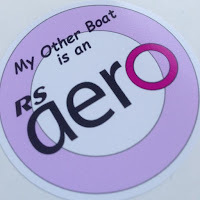 Someone who writes a sailing blog, and who has sailed his Laser 45 days this year so far. Yup, On Sunday I will have to change the sidebar on this blog from saying "I am rapidly approaching 60 years of age" to say that I am officially "past it". Even better, today Saturday I am sailing in a Laser regatta with son #1. It's the first time I've sailed with him this year. Not surprising really as he has been somewhat busy in the last few months with a full-time job, a family, trying to sell his house, looking for a new house to buy, graduating from law school, and studying for the bar exam. And did I mention that his wife is expecting our second grandchild any day now? Given all that, I am very grateful that he is finding the time to sail with me on my birthday weekend. Life is good. Oh, by the way, does anyone know what flags the race committee should fly to signal, "Your wife has just gone into labor and you need to go to the hospital immediately"? On July 2 1776, the Congress of thirteen of the British colonies in North America passed a Resolution of Independence presented by Richard Henry Lee of Virginia. With the passage of the Resolution of Independence, the colonies had officially severed political ties with Great Britain. In a now-famous letter written to his wife on the following day, John Adams predicted that July 2 would become a great American holiday. The famous grand parchment document in the National Archives known as the Declaration of Independence, but actually titled "The unanimous declaration of the thirteen United States of America", was signed by most of the delegates on August 2 1776, although some signers were not present and had to sign later. Today I sailed from Weaver Cove in Portsmouth RI across to Prudence Island and around round look around round round there a bit. Prudence Island is the third largest island in Narragansett Bay and is the largest one not connected by bridge to the mainland. It is famous for deer ticks and for being a US Navy ammunition depot in WW2. The sun was up. The sky was blue. It was beautiful and so are you. I apologize to fans of Miss 43. I held off as long as I could before doing 2008 sail #44. You can still see Miss 43 at Numbers. Dear Prudence. Won't you come out to play? All this Laser racing. I never seem to improve. It's a delusion that I can ever learn to sail smarter or faster. I looked at the results of the US Laser Masters Nationals at New Bedford a couple of weekends back. Deja vu all over again. The first major Masters regatta I sailed in the US was the 1990 Nationals at Lavallette in New Jersey. I was tenth in my age group... a mere Apprentice Master (under 45) back then. Folks like Had Brick and Peter Seidenberg took home the trophies. So where was I in the results this year? Tenth in age group again... now an aging Grandmaster (55-65). And Had Brick and Peter Seidenberg were on the podium again. Zero progress in eighteen years. Why do I bother? I looked at the names of the sailors ahead of me in the fleet at New Bedford (not just the Grandmasters). I recognized ten of the eleven names immediately above mine. I've been sailing against these guys for two decades. And they've been beating me for two decades. It would be depressing if it weren't so pathetic. I was in the top half of my age group. So that's a good stake in the ground for qualification for future Masters Worlds (through 2013 perhaps) just in case they change the rules. I'm not Unqualified yet. I did discover one major flaw in my technique and have an idea on how to improve it. Maybe I still can sail smarter and faster one day? I did beat that guy in three races. So I wasn't a total bozo in every race. Maybe I can beat him in a regatta at least once this season? And, in spite of everything, it was enormous fun. I don't know why. It just was. 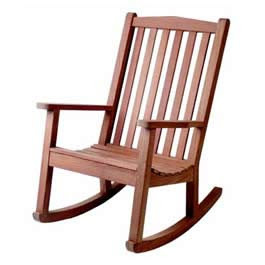 Maybe I won't sell my Laser and buy a rocking chair just yet.